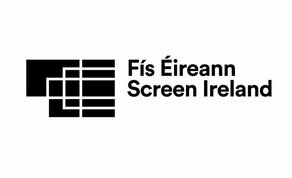 Fís Éireann / Screen Ireland (SI), the national development agency for the Irish film and screen industries, investing in talent, creativity and enterprise, is now recruiting the position of Digital Marketing and Communications Coordinator. Reporting directly to the Marketing and Communications Manager, this role is central to the organisation’s communications strategy; managing all social platforms as well as web content. The candidate will be responsible for generating content, newsletters and engaging content for SI customer-facing platforms, as well as assisting with preparing press releases. The ideal candidate will be full of ideas to increase traffic across all of the Screen Ireland communications platforms, as well as managing Screen Ireland analytics. Also, key to this role will be providing necessary administrative support to the Marketing and Communications Manager in a very fast-paced dynamic department. Interested applicants are invited to forward a detailed CV that highlights relevant experience and a covering letter in strict confidence to recruitment@screenireland.ie by midnight on Monday 22nd April 2019. Interviews will be week commencing 29th April 2019 and the post will be based in Dublin.